Prem Sanyas/Light of Asia (1925, dir. 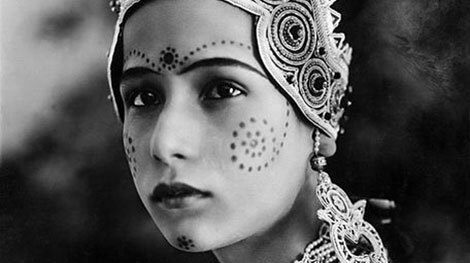 by Franz Osten & Himansu Rai), a spectacular and rarely shown epic silent film, will be presented by the Amsterdam Tropentheater on Friday 7 October 2011. The film will be screened in the Mauritszaal of the Institute of The Tropics at the Mauritskade and starts at 20:30. Not to be missed! The celebrated Rajasthani gypsy ensemble Divana provides live musical accompaniment. The silent film tells the story of Prince Siddhartha Gautama (Buddha), who achieved spiritual enlightenment by rejecting all material wealth. This entry was posted in Cinema / Film, World Music and tagged Amsterdam, Boeddha, Boeddhisme, Buddha, Buddhism, cinema, Divana, Franz Osten, Himansu Rai, India, Institute of the Tropics, London, Rani Bala, Sarada Ukil, Seeta Devi, silent film, Tropeninstituut, Tropentheater, Tropical Institute by Pieter de Rooij. Bookmark the permalink.